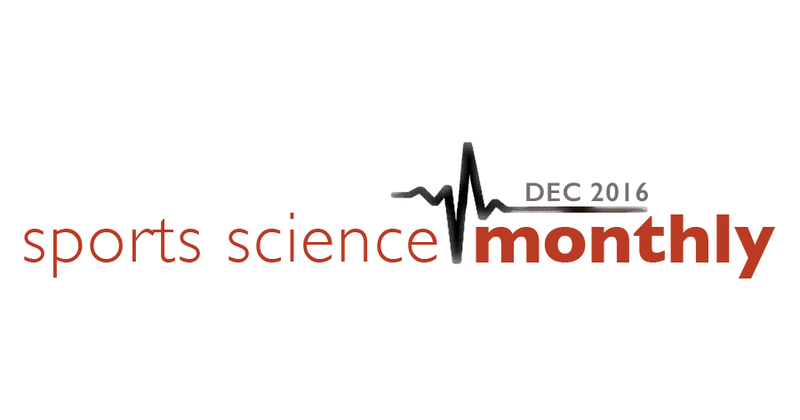 Sports Science Monthly is back again for the last edition of the year. This time, we take a look at predicting injuries, caffeine, beetroot juice, whether two-a-day sessions are better for you, and what happens when you shine a light into your head (seriously). As always, the full Sports Science Monthly is available exclusively to HMMR Plus Members. The first overview below is free to everyone, but sign up now to read about all the research. To get an idea of what Sports Science Monthly is all about, our April and May editions are available in their entirety for free. → Quick Summary: Injuries are complex and difficult to predict, but some basic form of screen might help personalize injury-prevention work. There has been a lot of research done over the years on the ability of certain tests to predict injury. This is an attractive idea to coaches and sports medicine staff, because if you can predict who has a higher risk of injury, then you can give that person specific interventions, usually in the form of strength or mobility training, to reduce that risk. One problem with the use of predictive tests is that injuries are multifactorial: there are a high number of different factors – many of which cannot be controlled for – that can influence or directly cause an increase in injury risk. In some cases it doesn’t matter how good a test is or how strong the athlete is. For example it is not going to end well if a soccer is struck mid-shin by an opponent doing a two-footed lunge to the mid-shin. Another issue is that injury prediction tests aren’t incredibly specific; many individuals who get given a high-risk score won’t get injured, and conversely many individuals who are given a low risk score will get injured. If we’re being pragmatic about this, we could argue that all athletes should do some form of injury prevention training as there is not much negative impact of such work unless it increases training load too much, or clashes with sport specific training. A lot of this will be specific to the sport – all sprinters should strengthen their hamstrings, and all bobsleigh athletes need a strong neck – but also specific to that individual as a sprinter might also need to work on an individual long-term Achilles issue alongside his or her hamstring strengthening. Potentially the use of a test such as a movement screen to guide individualized injury prevention training might be useful. Again, this won’t eliminate injuries, but maybe it would reduce them which is perhaps the best we can hope for. This was the focus of a recent paper published in the British Journal of Sports Medicine, which looked at physical performance tests carried out in NCAA athletes over the course of three seasons. The athletes competed in a multitude of sports, including athletics, basketball and soccer. 359 athletes completed the study, with a good mix of male and females. 10 performance tests were selected, that are believed to affect parts of sporting movements, such as power, motor control, eccentric hamstring strength, flexibility, etc. The tests were side plank with hip abduction, side plank with hip adduction, triple hop, vertical jump, in-line lunge, lateral lunge, bodyweight squat, single leg squat, downward dog, and active straight leg raise. The results showed that, from those 10 performance tests, those that were thought to measure hip stability, motor control and active motion did have a role to play in injury prediction. Hip stability was tested by the two different side planks, motor control via the squatting movements, and active motion was tested via the two different lunge tests. Better performance on these tests was associated with a lower risk of injury; for active motion this was a 49% reduction, for hip stability this was 56%, and for motor control this was 59%. It seems, then, that these tests might have some use when it comes to predicting injury risk in athletes. Of course, there are limitations and caveats to this. The first is that performance on these tests can be reduced by a number of factors, not always linked to injury risk. For example, a poor score on a single leg squat test could be due to poor hip stability, poor quadriceps strength, or even poor ankle mobility. Each of these issues will contribute to injury to different extents (if at all), which brings us back to the original problem I mentioned in the introduction: poor performance on these tests doesn’t mean you will get injured, just that you might – and good performance doesn’t mean you won’t get injured. The information you get is only as good as your interpretation. So with a low single-leg squat score, for example, what is done in terms of intervention will have an important impact on the injury reduction rates. Performance on these tests may also be indicative of other factors, so just getting better at single leg squats might not actually lower a person’s injury risk. However, this paper does suggest that there might be some use in movement screens for injury prevention. They won’t eliminate injury, but they might be able to guide personalized injury prevention training and lower injury risk, which would certainly be useful. Sticking with the subject of injury, recently the BJSM published a second related paper in this field, with the catchy title of “Complex systems approach for sports injuries: moving from risk factor identification to injury patterns recognition – narrative review and new concept”. This paper builds on some ideas I discussed in my most recent article, which is that we need to move away from reductionist thinking if we want to be better able to explain complex factors like sports performance, or in this case injury. Injuries are multifactorial, and the relationships between these factors can often be complex. For example, we know that having previously injured a hamstring increases the risk of injury in the same hamstring. But this could be because of structural changes in the muscle making it less tolerant of high loads, poor strength making it less tolerant of high acute loads, poor endurance making it less tolerant of chronic loads, altered neuromuscular co-ordination, or even loss of confidence in the athlete caused by previous injury. All of these factors are likely interrelated to some degree, and also might be affected by other factors – confidence, for example, might be influenced by resting hormonal levels or anxiety. This is why we need a complex model, to at least try to understand the various components that increase injury risk, whilst also understanding the elements of uncertainty that exist. A key point from this second paper is that a single risk factor does not cause an injury. Returning to the hamstring example, not everyone with a prior hamstring injury will suffer from re-injury; similarly, not everyone with a hamstring injury has previously injured their hamstring. This paper doesn’t offer us anything new in terms of specific advice, but it does further reinforce the fact that the human body is complex, and we should be starting to think about how things might be related, as opposed to being limited by reductionist thinking. I’ll finish up with one final paper on injuries; it’s an older one, but it is a great example of how all parts of the body are interrelated. The title “Sports-related concussion increases the risk of subsequent injury by about 50% in elite male football players” gives away the conclusions a little bit, but let’s take a closer look. The authors tracked professional football players from 46 different teams across 10 different European countries for an eleven-year period. Over this time, the teams registered when players had suffered an injury. Over the period the injuries totaled 8,695 and 71 concussions were reported. What was interesting is that the players who suffered from concussion were more likely to suffer a separate injury in the following 12 months when compared to players who didn’t suffer a concussion, almost four times more likely at certain time points. (Weirdly, the players that got concussed were also more likely to suffer from an injury in the year prior to concussion, indicating that perhaps they are more injury prone, or more aggressive in their play, increasing the risk of injury). So what causes this increased risk? It seems likely that suffering a concussion causes co-ordination changes, which in turn increases the injury risk. It shows that as part of the return to play process following a concussion, players should be given specific co-ordination based training, and also screened for cognitive and co-ordination deficits before taking to the field. It also serves to reinforce the complex and interrelated nature of injuries.